After careful consideration by a special Grant Selection Committee appointed by the president of the company, Micromeritics' grant award winner for the first quarter of 2009 has been selected. 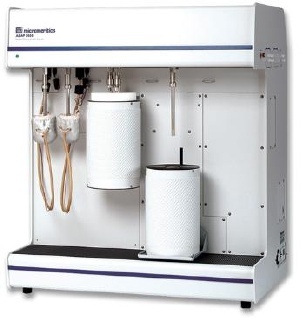 An ASAP 2050 Xtended Pressure Sorption Analyzer has been awarded to the Physics Department at Southern Illinois University Carbondale. Southern Illinois University Carbondale is one of the nation’s top research universities and has attained the highest classification offered by the Carnegie Foundation for the Advancement of Teaching – ResearchUniversity (high research activity). This classification places SIUC in distinguished company; less than four percent of all universities in the United States share this prestigious ranking. Applications may be submitted at any time in accordance with the application instructions and will remain active for four grant periods from the date of submission. Click on Grant Program for a detailed grant description, application requirements, and application.